Laughter (not money) makes the world go around and given that we spend a third of our lives working then a healthy amount of humour in the workplace is a vital ingredient to a successful business. At EcardShack we specialise in providing e Christmas cards for business that are befitting of a more professional message however that doesn’t mean we don’t appreciate a humorous Ecard and the guys at some ecards are masters at making people laugh with their ecards. Here are just a few that put a smile on my face, so brace yourself for an insight into my own sense of humour. 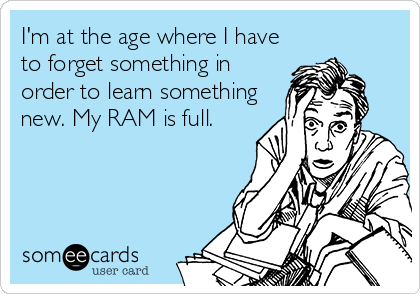 As a bit of techie geek this makes me laugh. I am also getting on now (36) so can empathise with the ability to soak information diminishing. Too many late nights have wiped segments of my hard drive. I have always enjoyed a little dive on the internet at work to escape for 5 minutes for a well earned break. 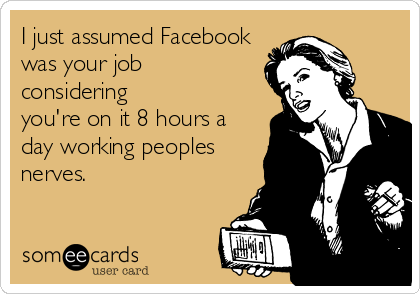 However, I can definitely relate to the frustration of a colleague spending far too much time on Facebook. I once worked in an office with just 4 people, one of which continued to talk like an owl incessantly hooting deep into the night. She was actually responsible for driving me to a career change so will forever be thankful for her pearls of nonsense. 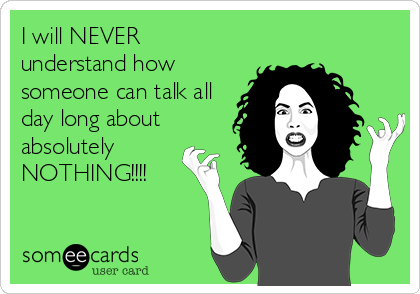 I think we can all relate this ecard. Even when we are suffering a stressful period in our lives Friday can bring some kind of relief to put our lives in perspective. 1. A happier workforce is more productive which obviously drives revenue and profit levels for shareholders. 2. According to Forbes absenteeism costs US businesses approx $3,000 per year for each employee. With common causes of unscheduled absenteeism attributed to bullying or unhappiness at work then a jovial office will surely drag people out of bed with more reliability. 3. A happy employee who genuinely has fun at work with his colleagues is much less likely to leave the company. The avoidance of the huge costs that a business is faced with when recruiting, brings a big smile to a finance director who laughs all the way to his bank manager when pocketing the savings. 4. Almost every job carries an element of stress. Some jobs carry large levels of stress and if no relief is provided to ease the feelings of pressure on an employee then performance will drop and more importantly their health will suffer. Tell eachother jokes or send an informal email to ease the tension to allow everyone to put things into perspective and keep their minds balanced. These are just some of the reasons why our employers should embrace a sprinkling of humour. 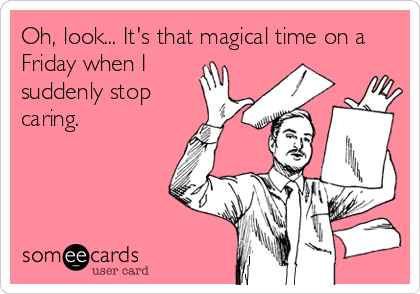 If your bosses needs to see the light then feel free to point them to our corporate ecards website to read this blog. If they turn up to work next week wearing a fake moustache and glasses combo then don’t blame me.